Live the good life in today’s new modern homes. The latest that Oregon home builders showcase are not “cute,” “charming” or “trendy.” Oregon home builder H. Hudson Homes brings you a dwelling for grownups who appreciate a home that matches their lifestyle. With a convenient location in southwest Bend, this home brings together key visual and spatial elements that you seek to appreciate your outdoor lifestyle. Designed by Christian Gladu, this Bend home is within walking distance of restaurants, cafes and shopping opportunities, and just a car ride away to the area’s ample recreational activities. At over 2,000 square feet, the two-floor home has the contemporary design that today’s distinguished buyer craves, like an open floor plan, large picture windows, sleek lines and green solutions. This three-bedroom and two-and-a-half-bathroom house is definitely worthy of your inspection; Frank Lloyd Wright would have approved. Christian Gladu is a Bend-based designer who is a career-long advocate of the Green Building movement. 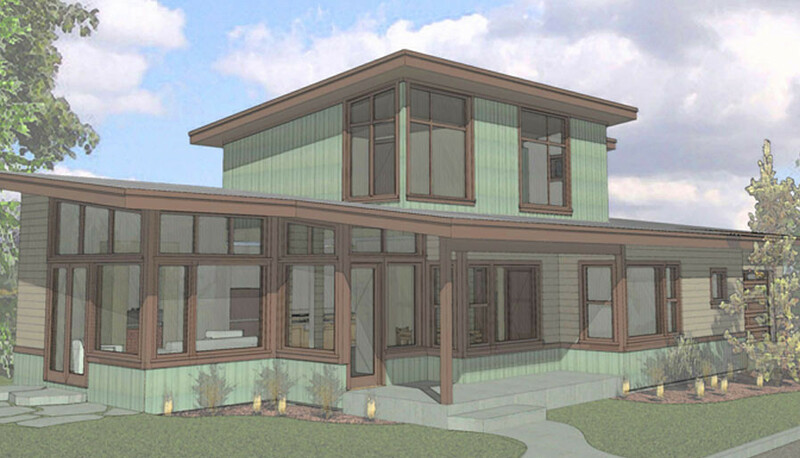 He specializes in designing new modern homes that are eco-friendly, LEED-certified and passive. Gladu was a perfect partner for the Oregon home builders at H. Hudson Homes who value quality and sustainability. View H. Hudson Homes’ available new homes and upcoming projects.